"Nerves and butterflies are fine - they're a physical sign that you're mentally ready and eager. You have to get the butterflies to fly in formation, that's the trick." Several months ago, the garden lost all of its Oleander Aphids: YAY! Several months ago, the garden lost all of its Monarch caterpillars... SAY WHAT?! We have a bug spraying company that comes about every other month or so to spray around the base of the house and underneath it, also checking the yard for unwanted creepy crawly critters. Up until then, there were no unwanted critters in the container garden or the yard in general. Before the container garden was created, the yard was a very sterile environment for insects. Cacti, succulents, some rocks, and a carpet of gravel was all it offered. Enter the containers and almost immediately, the garden became a bug haven of sorts. With the advent of warmer weather in June, the bugs began to appear in earnest along with the Monarch caterpillars. He routinely checks around and under the house, also checking the yard. Spotting the aphis hoards anchored on to the milkweed plants, he obligingly sprayed for them and surrounding plants with insecticide. I forgot to mention to him that I didn't want the plants sprayed at all nor the immediate area of the house adjoining the container garden. I was at first elated that the aphids were decimated by voracious predatory ladybugs, wasps, and ambush bugs. IPM works!!! I then noticed that all of the cats were either dead or dying. Upon closer inspection of the plants, a noticeable white residue was spotted spattered on their surfaces. HORROR! It was amazing the day and night transformation of the container garden with regards to the insect populations that previously inhabited the site. From a healthy, humming, teeming with insect life (both good and not so good) biome, the Container Butterfly Garden became a beautiful dead zone; sterile and pretty to look at. It effectively became a metaphor for the beautiful but cold Ice Queen. To make a long story not much longer, I waited for the bug spraying guy to make his appearance again, walked him around the container garden, explaining its purpose and intent. He was intensely interested in the concept, and sincere in his enthusiasm for the project. All is well now here. The caterpillars are back -- the aphids too -- plus all of the other little crawling and buzzing bugs have returned. Seeing them again is like wearing a favorite pair of old house slippers: I feel all warm and fuzzy inside again! How dead and utterly useless the garden was after it was sprayed! Yes, there are the bad bugs mixed in with the good bugs, but if one lets nature balance itself out, a happy medium can be maintained. 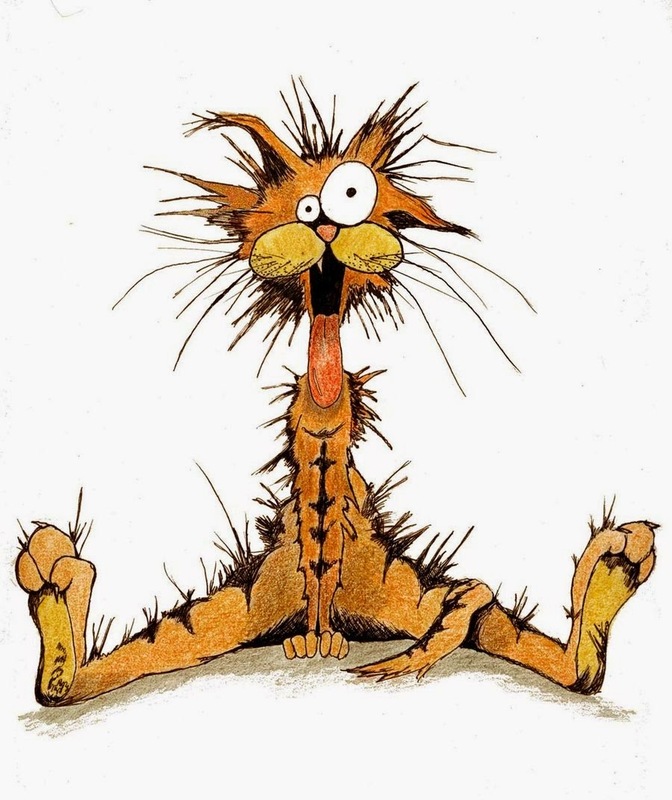 It took a good month and a half to two months before the cats returned. 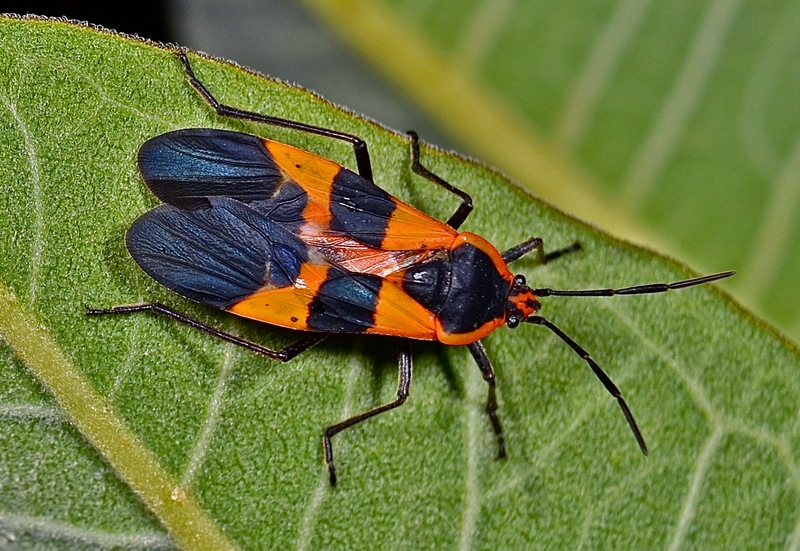 I do go in and look for detestable Large Milkweed Bugs in and amongst the milkweed plants during the summer months, knocking them into a jar half filled with water with a bit of dish detergent mixed in. The detergent makes the water "wetter", allowing the bugs to become less hydrophobic and able to drown faster. Large Milkweed Bugs are not a threat to milkweed plants per say, mainly feeding on the seeds and sap of milkweed seed capsules. Their numbers can explode if not kept in check, and that's what is detestable to me, although they are rather pretty in their own right. I've seen weaker milkweed plants succumb to masses of these creatures infesting them. They bug me [ :-)) ] with their mass presence, so I go after them. If I feel rather rambunctious, I'll even squish some Oleander Aphids between the thumb and forefinger. A messy, but rather rewarding feeling, it really doesn't do much good when aphid numbers are out of control. 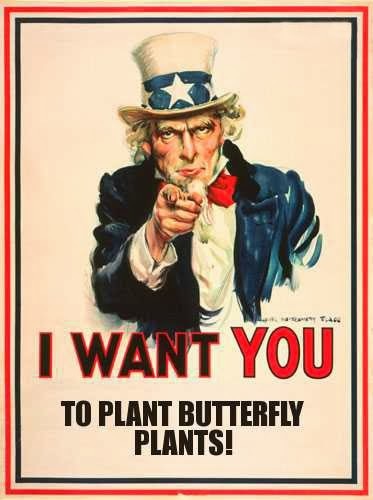 So, to wrap it up, this is just a reminder to those that have a bug spray service or an uninformed gardener to please advise them of your intent for the butterfly plants you've placed in your yards.